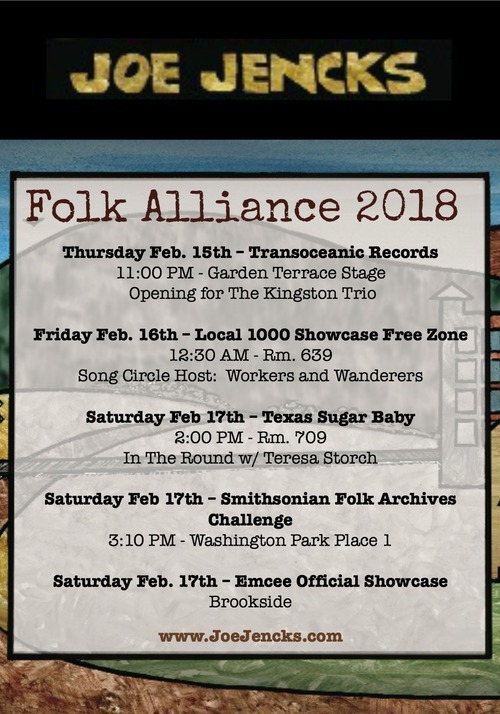 Thursday night at the Folk Alliance International conference - I will have the distinct pleasure of opening for The Kingston Trio - along with Tracy Grammer. Many thanks to Transcoeanic Records and Folk Alliance for hosting this extraordinary event. Very honored to be a part of it. See the poster below for more information on that and my full showcase schedule.